The third generation Volkswagen Touareg is almost ready for its world debut, which will take place on March 23, in Beijing, China. Designed by VW’s head of Design Klaus Bischoff and his team, the new flagship SUV will arrive with fresh styling inspired by the Arteon at the front, in addition to bolder lines all around. In the latest teaser, VW talks about “one of the largest digital cockpits in its class”, which “opens up a new type of infotainment system”. 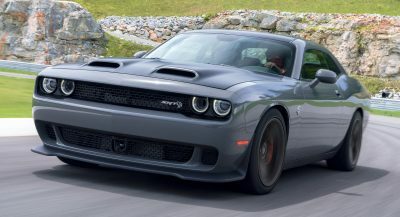 Other interesting features are also being mentioned, including the rear-wheel steering, air suspension, and roll stabilization, all of which will “ensure a safe and dynamic driving experience”. Underpinning it is the MLB Evo platform, which is the foundation stone of pretty much every large SUV developed under the VW Group’s umbrella. 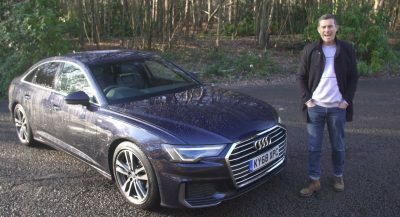 These include the Audi Q7 and Porsche Cayenne, but also the Bentley Bentayga and Lamborghini Urus, as well as the upcoming Audi Q8. 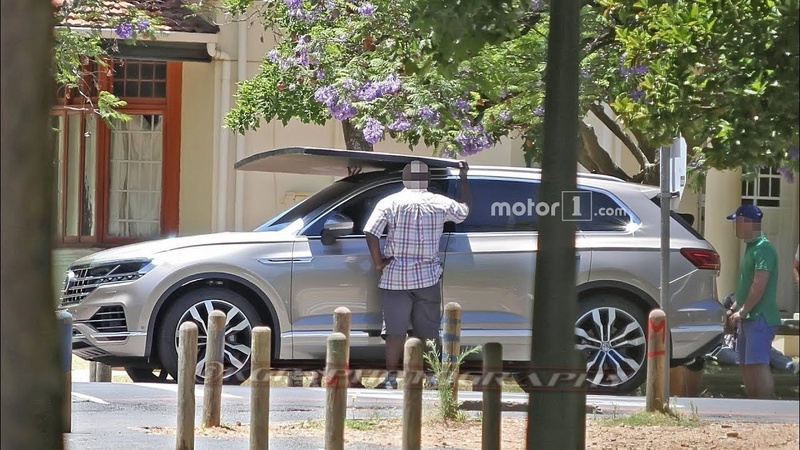 Using the new architecture allows the 2019 Touareg to shave a few kilograms over its predecessor, and to become more fuel-efficient. Additionally, it will also allow it to adopt a variety of powertrains, including diesel and petrol units, as well as electrified ones. Rumor has it that the new German SUV will arrive at first with three engines: a 2.0-liter four-cylinder, a 3.0-liter V6, and a 3.0-liter V6 TDI diesel. Later on, Volkswagen will likely expand the lineup, and one of the models that’s believed to arrive is the ‘R’, powered by a VR6 turbocharged engine. A range-topping V8 TDI variant is also expected to show its fangs later on, alongside a potential plug-in hybrid. 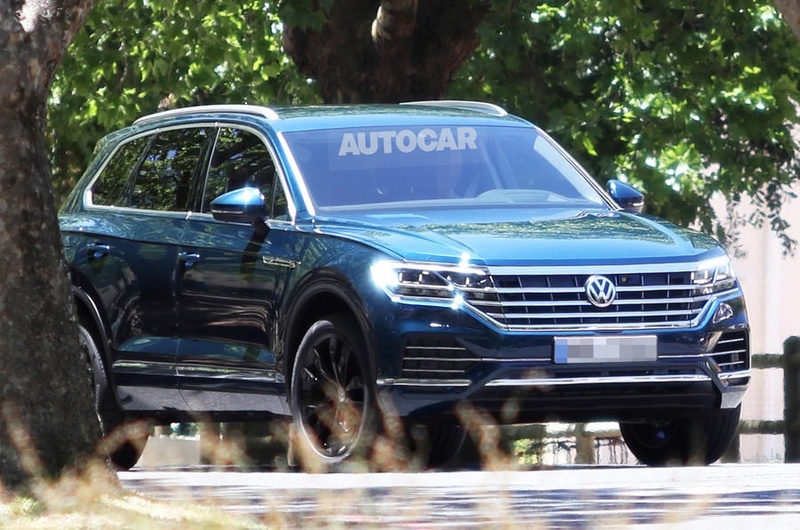 It’s unknown yet whether the new VW Touareg will spawn a sportier version to rival the likes of the BMW X6 and Mercedes-Benz GLE Coupe, or if Audi will be the only one designated to steal some customers from the popular SAVs. 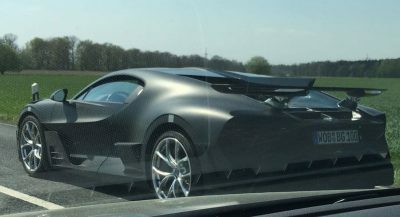 Mazda CX-9, is that you? Did you just assume the cars gender? Why yes, Stevie Wonder, it is! Oh boy! More stuff to break.. Can you imagine picking one of these up used, out of warranty, and being told that the rear-wheel-steering and air suspension systems need to be repaired? Ha. Really pretty though.. 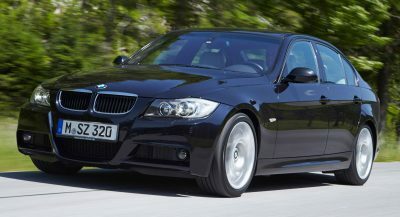 Overall its definitely very nice, not liking the new grille treatment at all though. Not elegant, looks like braces on a teen. Thanks for the pic! Considering that I’ve already seen the car undisguised, I can say that the concept sketch is pretty spot-on. Unfortunately, the US can never have nice things from Volkswagen. I really don’t understand why VW will not offer this again in the US. People are spending a lot of money for some of these SUVs/Crossovers and the brands are not even premium really. If they applied that new warranty to this thing, I bet VW would sell a hell of a lot more than the last gen. Such a shame because this actually looks nice (judging by the photo posted in the comments). Here’s a side view. Looks better than the Q7 in my opinion. That looks sleek, love it. Like the above comments, it’s really a shame that they don’t sell it in USA. My mother lives in Portland, and she had a VW Jetta. Believe me or not, she is a car lover, and when she comes to me in the Netherlands, she becomes jealous of nice looking VWs here in Europe. I would love to see European version of VW in US, so at least when I go there, I could rent one of these (like photo above) to driver around Oregon state. They’ve tried and failed to sell European Volkswagens in the United States. When they’re designed for European tastes, they tend to be somewhat too expensive for American consumers to consider as viable options, and when they’re designed for American tastes, they tend to be too cheaply finished to be considered for sale in Europe. The numbers say otherwise. The Q7 is more car for the money, and getting into a Cayenne isn’t that much of a financial stretch. I’m one of the few who purchased a Touareg (2014), and I only chose it over the Cayenne because premium badges are a negative in my line of work. I agree. Only true car people will purchase a Toureg, which is also a very capable off-roader. Like yourself, I prefer the Toureg over the Porsche. The interior also has a much cleaner design. Don’t get me wrong I love Audis too. I figured since the Atlas can reach a price tag of 50k, they can sit this on top of the Atlas and have maybe just one trim level available optioned to the max (pushing it to around 53k-60k). If VW can make a business case for the Arteon, I don’t see why they can’t offer this again. No, it’s not. 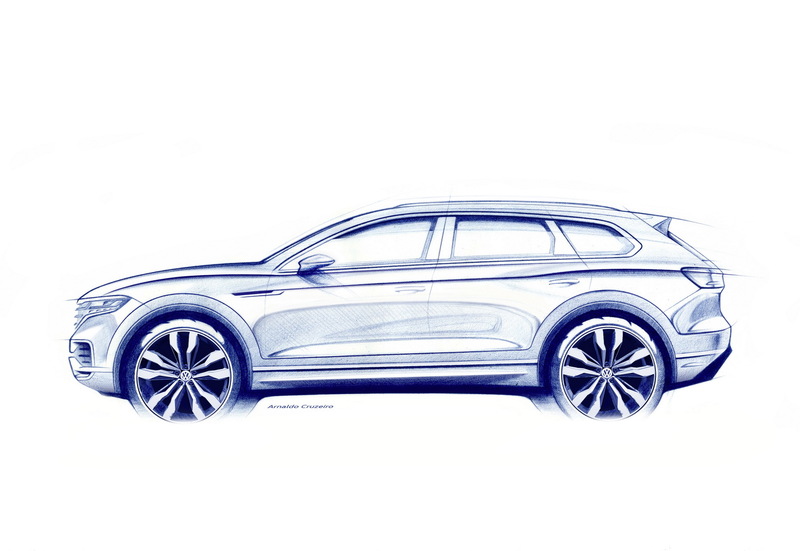 The Q5 is a fine car, but the Touareg is a full rung above on that family ladder. Side view is quite gorgeous! Looks very, very premium. Will probably cost big bucks. Given the VW crap dealer experience, don’t see why one wouldn’t just get the Q7 instead unless this is much, much cheaper. 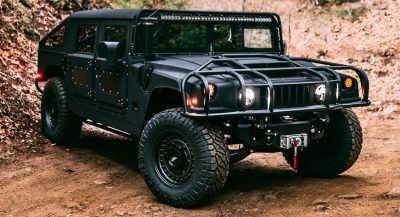 This is the best looking vehicle using the MLB Evo platform and now is the best time to offer it in the U.S. Everyone wants an SUV. They aren’t bringing over the Arteon unchanged, however. No coming to the U.S. marketplace however; the 3rd generation Touareg! Does this have 7 seats? My experience with the Toureag was expensive. even changing the battery hidden under the front seat was $400. Rear-wheel steering sort of implies the fronts aren’t steered? Do ya happen to mean 4-wheel steering? Well proportioned overall. Front end design is a bit too generic through.